Adult dance classes are offered in Ballet, Tap and Ballroom for those wishing to start or continue their education in these two styles. On Fire Fit is an adult conditioning class that utilizes ballet technique. All classes are open to the public and held in a comfortable, non-competitive environment. An adult Ballet dance class for basic to advanced adult dancers. For students new to Ballet, this class will introduce the basics of classical Ballet technique. 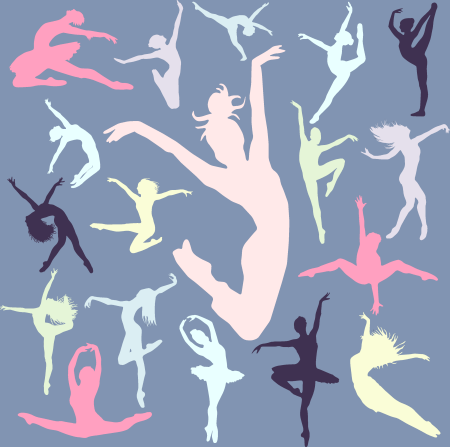 Students will learn basic barre, center with simple Adagio, petite and grande Allegro as well as movements across the floor (basic Jumps and Turns using the diagonal of the studio). The dance combinations will be presented in a simple, but still challenging manner. For students with previous Ballet experience, this class provides an opportunity to refresh and enrich their Ballet knowledge and to reach higher levels of confidence, poise and strength in their dancing. The focus will be placed on working with the music in order to achieve fluidity and graceful Ballet lines. Another focus will be placed on increasing the speed and Ballet coordination in all the dance combinations from the curriculum. 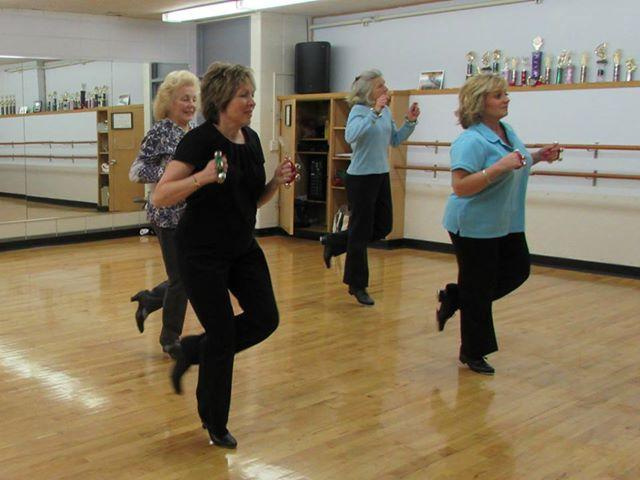 An adult Tap dance class for basic to advanced adult dancers. For students new to Tap, this class will introduce tappers to explore rhythms and sounds, and teach students to identify, utilize, and demonstrate Tap terminology. Students will strengthen leg muscles, and develop a good sense for rhythm and basic movement coordination, while emphasizing clean Tap sounds. For students with previous Tap experience, this class provides an opportunity to refresh and enrich their Tap knowledge and execute more challenging combinations. Students will explore more rhythms and a larger variety of movements. The technique warm-up will be extended. The main goals of this class are to further improve the sense of rhythm and dance coordination through movements and to experience a great cardiovascular workout in a fun and enjoyable dance environment. Beginner levels are a great way for first time teen and adult tappers to explore rhythms and sounds. The Adult Students taking these classes will be able to identify, utilize, and demonstrate Tap terminology. They will be able to combine several Tap techniques to create their own combinations. The main goals of the beginning levels are to become comfortable with this art form and learn about the great American Tap legacy, to strengthen leg muscles, and to develop good sense for rhythm and basic movement coordination. The end of class will include a cool down stretch so your calf muscles do not ache in the morning! A group Ballroom dance class where students learn the fundamental figures of the Tango and Cha Cha dances. Students will also learn a routine that they may use socially. · Tango is a partner dance that originated in the 1890s along the Río de la Plata, the natural border between Argentina and Uruguay, and soon spread to the rest of the world. The styles are mostly danced in either open embrace, where lead and follow have space between their bodies, or close embrace, where the lead and follow connect either chest-to-chest or in the upper thigh, hip area. · Cha Cha is a vibrant, flamboyant and playful dance. The light and bubbly feel of the Cha Cha gives it a unique sense of fun for dancers throughout the world. The Cha Cha requires small steps and lots of hip motion (Cuban motion), as it is danced in 4/4 time. 1 There is no prerequisite for any of the adult classes. · Trial a class on us!